New York • A half-gallon of milk was 50 cents cheaper at a Whole Foods in New York. Ground beef was down by $2 a pound. And an organic avocado cost a buck less. Amazon kicked off its first day as the owner of Whole Foods by slashing prices, adding its logo on signs and setting up a stand of “farm fresh” Amazon Echo voice-assistant devices by store entrances. 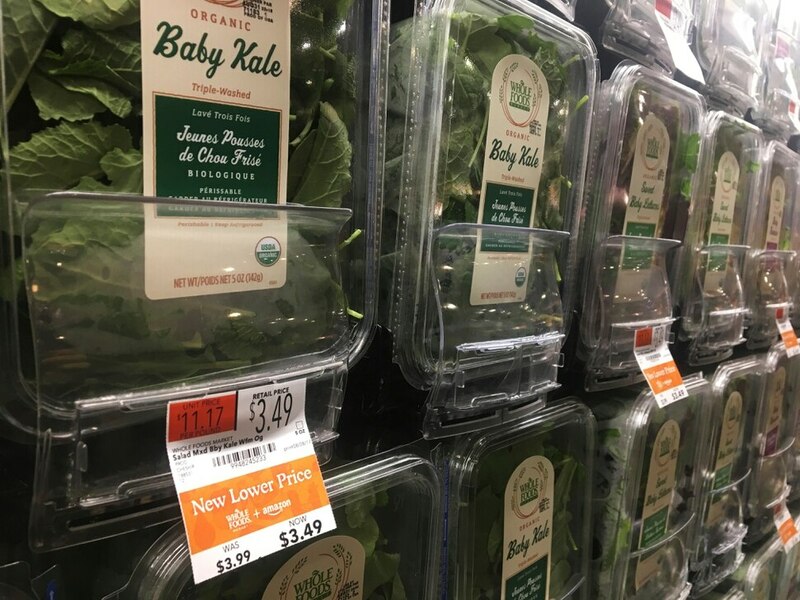 It’s just the first taste of the moves the e-commerce giant will make at the organic grocer after it completed the $13.7 billion deal on Monday. More changes are coming: The company aims to make Amazon Prime the rewards program at Whole Foods and some Whole Foods products will show up on Amazon’s site. The deal could also spur big changes in how people shop for groceries overall. Whole Foods had been just starting to test a loyalty program. But soon, shoppers at all stores will be able to tap Amazon’s $99-a-year Prime program to get discounts at stores. And they will eventually be able to buy some Whole Foods products from Amazon.com. Lockers will be added in some locations so Amazon shoppers can pick up e-commerce orders or return items they don’t want. Amazon said those changes were just the beginning, but didn’t give details on what more is coming. Those who watch the industry expect Amazon to push further into grocery deliveries, among other things. 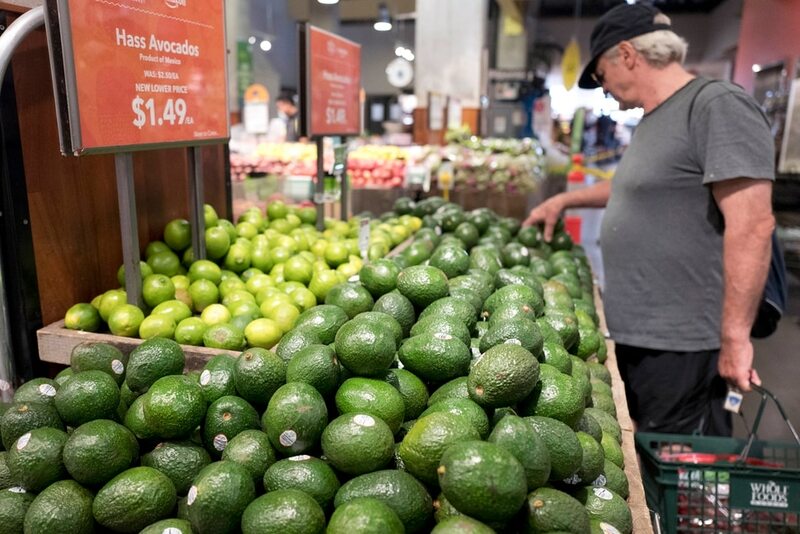 Whole Foods stores can serve as new distribution points for the AmazonFresh delivery service, allowing Amazon to expand where it offers home deliveries. That could include an expansion of ready-to-cook meal packages it’s been testing in selected markets, including Seattle. But despite the price drops, Whole Foods may still be pricier than the competition. At a Philadelphia Trader Joe’s, a dozen extra-large organic eggs were selling for $3.69 on Monday, 30-cents lower than large organic eggs at a Whole Foods store less than a mile away.